Join us for the Parade! The 2019 Lee Parade of Homes™ is Here! This is our 33rd Annual Lee Parade hosted by the Lee Building Industry Association. The Parade runs weekends from Saturday, February 23rd thru Sunday, March 10th. 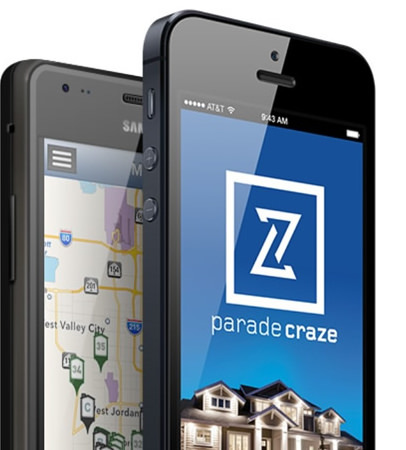 Use this site to search a wide array of new homes and to plan your personal tour.You can also get the ParadeCraze app for your mobile device by clicking on “Get the App” on the top right of this page. It’s a great Parade touring guide. 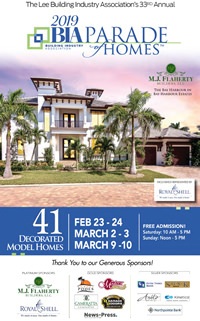 Look for the 2019 Parade of Homes™ Special Section in the News-Press on both Saturday, February 23rd and Saturday, March 2nd. commenting on social media sites.